The beauty of working in the Scottish hospitality industry is visiting places and properties on a daily basis as part of your work. It throws up gems of the highest quality and never fails to amaze with what is actually dotted about our country - and accessible. A meeting this morning highlighted this once again. A round table to discussion a website development for a group of Wolsey Lodge owners in the South of Scotland was scheduled for Skirling House near Biggar. If being honest the thought of a cross country drive taking up several hours of the day wasn't the most appealing but leaving Ayrshire, avoiding the traffic of early morning and arriving in Biggar for 10am changed my outlook! My first experience of Biggar was in my Queen Margaret College days - very much pre-organised Edinburgh Hogmanay! - when one New Year's Eve we commandeered the college minibus (seats for six but accomodating at least twelve!) and headed for Biggar. I think only one of the group new what was ahead but the massive annual bonfire and village celebrations kept it in my mind for many Hogmanays thereafter. Anyway today's meeting was in Skirling a place that quite possibly goes unnoticed for most travelling the road from Abington Services on the M74 to Edinburgh but quite delightful place. 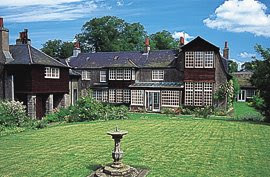 Skirling House sits overlooking the village green and nowadays offers a wonderful five star guest House experience for visitors to this part of the Scottish Borders. Parts of the building date back to the 16th century and the Florentine drawing room ceiling and unique iron work at the ‘Arts & Crafts’ Skirling House are reminders of the first owner, art connoisseur Lord Carmichael. Having been there for a meeting and having sampled Bob's finest Colombian coffee and freshly made soup I am pretty sure that the next time I return will be for a wee break. 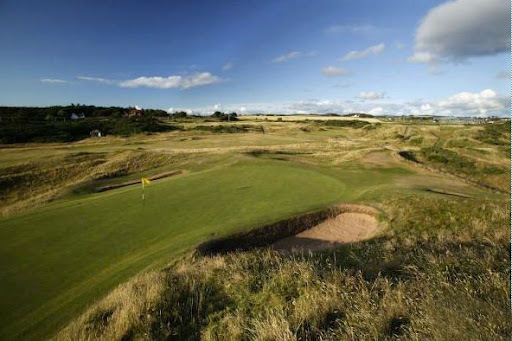 Only 45 minutes from Edinburgh, an hour from Glasgow; and one hour fifteen from home in Ayrshire. All we need to do now is convince Bob that he will spread the message even faster with an online booking engine! 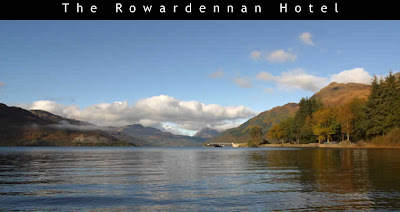 Rowardennan Hotel relaunched their website today having integrated the Claymore Project Content Management System. The Claymore Project, a tourism focused database, allows the Hotel to update the content on any page of the website at any time. The CMS integrates seamlessly into the existing website design, which was originally produced by another developer, providing a low cost but valuable upgrade to the Rowardennan online presence. As part of the change The Edge were also contracted to provide their website hosting and domain name management services.